The calendar for the first season of BRDC Formula 4 has been confirmed. 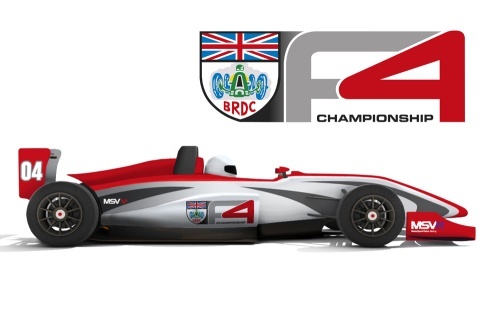 The 2013 BRDC Formula 4 Championship, run by MotorSport Vision Racing (MSVR), will comprise 24 races across eight events. The season will commence at Silverstone on 27/28 April, racing on the Grand Prix circuit, with the following round at Brands Hatch Indy supporting the prestigious DTM German Touring Car Championship. BRDC F4 will then support British F3/GT at Snetterton on the 300 configuration in June. Further events will take place at Oulton Park and the Brands Hatch Grand Prix circuit before second visits to Silverstone and Snetterton, joining other successful MSVR championships. The final round will take place at Donington Park at the end of September. At both Silverstone events drivers and their families will benefit from entry to the BRDC Clubhouse and notable BRDC members will present the awards for each of the three races. Jonathan Palmer, Formula 4 Series Director, said: “It is clear that the BRDC F4 Championship has got off to a great start, with all 24 cars sold in less than a month. Far from being complacent though, we are working harder than ever to ensure that BRDC F4 becomes the series of choice for those moving to single seater racing. Today I’m delighted to announce an outstanding calendar for our debut season, featuring all the leading UK circuits and support slots with DTM and the British F3/GT championships. At several events, BRDC F4 will also headline the race meeting and benefit from access to pit garages. All available cars for the BRDC F4 Championship have now been sold. Interested drivers should visit the official website www.formula4.com for a list of competing teams and contact details.